In that one sentence, we cut right to the heart of your business. You can spend months working on a great idea, pour tons of time and energy into crafting the perfect marketing, but without customers, your business will cease to exist. All future growth hinges on one thing – customer acquisition. While this may sound simple, it can be incredibly challenging to find new opportunities for growth and customer acquisition in an increasingly crowded marketplace. There are a billion emails sent every day by MailChimp alone. There are over two million blog posts published each day. In today’s world, you’ll only win by acquiring customers in a way that differentiates you from the crowd and builds an enthusiastic customer base that sticks around. To help you understand and improve your customer acquisition, we asked 7 SaaS leaders to reveal their top customer acquisition tactics. Because SaaS success and valuation depends heavily on customer acquisition and retention. Also because rarely should you only look to your immediate industry for insight and ideas. SaaS, which is a subset of the technology industry, has seen massive growth over the last decade. All predictions point to it continuing to gain steam. After all, SaaS lowers the barrier to entry for people around the world to do whatever it is they want to do from launching a business to paying taxes to managing inventory. No task is too large for SaaS, at least how that industry sees it. Their tactics can very well be the inspiration you need to take your sales to the next level of growth. What is Cost of Customer Acquisition? The cost of customer acquisition is typically referred to as CAC, and it is easily broken down into a simple formula. It is the cost spent on acquiring new customers (marketing expenses) divided by the number of customers acquired for that given period. For example, if you spend $100 in a year and acquire 100 customers, your CAC is $1. Get your free copy of The Growth Handbook, brought to you by Intercom. We provide 12 customer acquisition tactics to help you grow your store’s traffic and improve your conversion rate. What current merchants do to drive their growth. Understand Short-term Hacks vs. Long-term Strategy. Value of the Customer Must Exceed Cost of Customer Acquisition. After Product–market Fit Comes Product–channel Fit. Every Business Needs a Mechanism for Free Acquisition. Content is Your Most Powerful Acquisition Channel. Acquire Slowly at First, Perfect the Product, Go Mainstream. Acquire the Right Kind of Customers (i.e. the ones that pay). Give ’em a Deal They’ll Never Forget. Design Your Website to be Helpful, Not Sophisticated. 1. Win hearts and minds. Understand who influences your prospects most, then earn the trust of those influencers. You’ll need to win both their hearts and their minds. Before I joined Intercom, I led all of Intuit’s small business products and services, including QuickBooks accounting, payroll, and payments. For accounting and payroll products, the No. 1 influencer for a buyer was the accountant. When small businesses make decisions around accounting and payroll, they end up talking to an accountant roughly half of the time. So, we focused on being great for accountants – winning their hearts and minds to help drive word of mouth. Once you find the folks who are trusted advisers to your customers and prospects, you need to help them do four things. In order, they need to know, use, love and recommend your products or services. Know: They can’t recommend your solution if they don’t know about it. Use: To build their confidence, they have to actually use and understand your product. Love: Figuring out what matters most to those folks is crucial. Make sure that they’re experiencing real value and that they see the value your product will provide for others. This is also about giving them an experience that is emotionally engaging, wins their hearts (not just their minds) and gets them excited. Recommend: Find ways to help influencers amplify this love. Make it easy and rewarding for them to recommend your product. You can use things like referral fees to align your business interests. 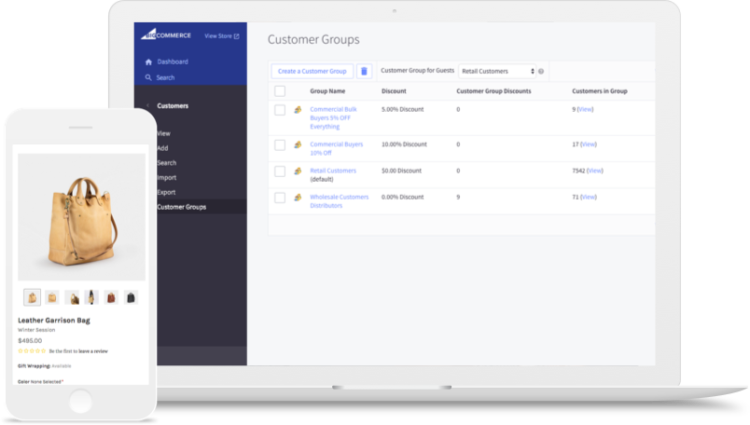 At Intuit, we built capabilities into our products that made accountant’s lives easier when their clients used QuickBooks, so they were motivated to get more folks using our products. How can you motivate your influencers to get more folks using your product or service? 2. Understand short-term hacks vs. long-term acquisition strategy. Most new businesses use short-term sales tactics to get their first 10 customers. That’s great at the start but terrible for sustainable growth. Transition to more long-term plans as you grow. A short-term plan is one that you won’t continue doing in the future. Visiting every new customer in person. Personally following up with every new user. Tapping into your personal and professional network to get customers. A long-term plan is one that scales with your business. Creating a drip email campaign. Building a scalable lead generation and customer acquisition process. 0–10 customers: 90% short-term tactics | 10% long-term tactics. 10–100 customers: 80% short-term tactics | 20% long-term tactics. 100+ customers: 20% short-term tactics | 80% long-term tactics. 3. Value of the customer must exceed cost of customer acquisition. It is also an extremely common way that venture-funded businesses think about how to grow. They think they can burn through tons of capital acquiring users and figure out monetization later. But no matter how much volume you have, if you don’t make money on any of the transactions, you won’t make money at all. If you look at many of the initially successful companies that have come and gone over the past 36 months, that’s exactly what they were doing. These companies had incredibly smart and experienced people, but the underlying business model was broken: they were creating volume businesses without a clear-enough plan for how to solve the profitability question. For a viable business, the value of the customer must exceed the cost of acquiring that customer. You don’t need to have this solved on day one of your business, but you need to have a plan as to how that’s going to happen. 4. After product–market fit comes product–channel fit. Once you figure out product–market fit, it’s immediately time to figure out what Andrew Chen and Brian Balfour call product–channel fit. You need to identify your marketing channels, particularly the one or two you can use to go from wherever you’re at to that next level. You have to invest in one or two. Image credit: Brian Balfour. Read more about Product–Channel fit here. Look at the biggest companies out there, like Apple and Microsoft. Each company usually has one main channel and two or three secondary channels. A startup with limited resources has never been able to achieve success at three different things at the same time, so find one channel that you want to enter, and then as you get that one humming along, go after the next one, and then the next one. Let’s say you’re trying to raise money. You probably don’t want to invest in content marketing or SEO as a primary channel to move the needle, because they take too long. Spend your marketing budget on ads or outbound sales. 5. Every business needs a mechanism for free acquisition. There’s a reason why SaaS companies have a recurring revenue model. It’s also why a transactional marketplace like Uber, which has a large number of riders who use it use it every day for commuting, works so well. That regularity and habit formation means the company has better lifetime value. It also means the engagement can power organic acquisition, because customers naturally tell their friends about it. Look at Dropbox or Slack – a natural network forms, where every user has the opportunity to acquire one of their co-workers. Another example is DocuSign, where folks who are collaborating within a workflow involve other people from across companies. That’s going to be even more viral than something that only exists within a company. How many folks have discovered Intercom because they saw the little window on the bottom right and thought, I want that too? You get all of this acquisition for free. When I look at some of the high-profile cases where chasing acquisition didn’t work, I see a couple of things that work in concert to make it more difficult. First, you have an acquisition model that is a single channel. Maybe it’s Facebook ads, maybe it’s Google ads, maybe it’s SEO – but you don’t have any natural virality. Second, specific to ecommerce, if you’re buying something like a mattress or a car, that happens very infrequently. Because of that, you end up in an acquisition treadmill, where you’ve got to run really, really fast and then – if you’re on a single point of failure on your acquisition channel – there’s an arbitrage for a period of time. If you hit it at exactly the right moment, you can build a pretty decent company. But eventually you should just plan on losing it, right? This is another reason why a lot of gaming companies are hard to fund from a venture perspective: there’s built-in natural churn. Dating apps are also like this. You have that combined with the need to actually buy the traffic because it’s very hard in a dating app to say, “Oh, you should download this too.” That doesn’t make sense. If you’re building something in fintech or healthcare, these are all things you have to be very careful with. Make sure you understand how customer acquisition is going to play out long-term. 6. Content is your most powerful acquisition channel. I was talking growth with Neil Patel recently and we discussed the channels that we would both invest in long term. If we were to start all over again, what would we do? The answer was one you’d expect us to give: content marketing strategy. You are able to retarget people. You are able to build lookalike audiences on different channels. If you’re creating great content, it builds links, which brings your domain authority up. You can write more content and then you can collect more emails and optimize your conversion rate from there, but everything starts with content first. Look at a lot of media companies – they’re building agency services divisions now. It’s easier to build an audience first, and then from there you can start to branch out into other areas. Four years ago, I spent six hours a week on “Growth Everywhere,” the first podcast I started. Editing, recording – I did everything by hand the first year. I worked for another year, again six hours a week, and I was only getting 30 downloads a day. Nowadays “Growth Everywhere” has about 80,000 downloads a month. Not bad, but the “Marketing School” podcast gets about 640,000 downloads a month. Those succeeded because I was relentless. The framework that I’ll give is really easy for everyone to follow. 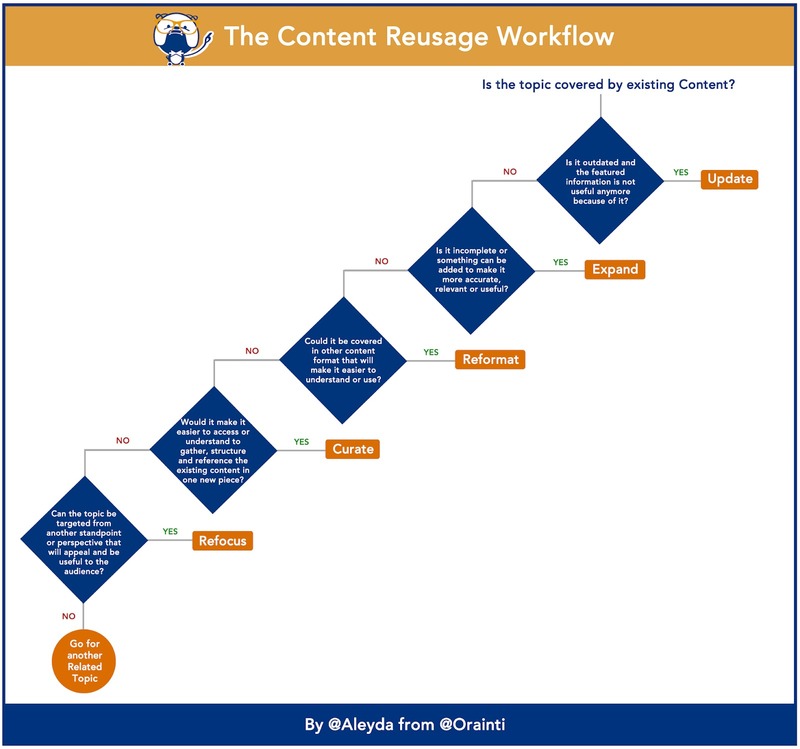 It’s the Content Reusage Framework from Aleyda Solis. She has this flowchart you can follow when you’re creating content, and it doesn’t mean you always have to be writing new stuff all the time. If you use that framework, it’s going to work out really well for you. Image credit: Aleyda Solis, Backlinko.Read more about applying her framework here. My point is just be relentless. Content marketing is the foundation for building whatever you’re trying to do in the long term. Yes, it takes time, but anything good takes time. Just be patient. 7. Acquire slowly at first, perfect the product, go mainstream. You can definitely invest in acquisition too early. Unfortunately, at my first SaaS endeavor contentmarketer.io, which has pivoted to Mailshake, we made that exact mistake. If you don’t have a product that can fit that channel, then I would recommend not leveraging that. For example, at contentmarketer.io, we had a product that was kind of okay, and we were still validating product–market fit. Naturally, I went to town as a marketer. I built an audience. I built an email list. We started blogging. We got lots and lots of traffic. We wasted that whole channel, and we had too many people talking about us. That sounds like a good problem to have, but it’s a really bad one because the first impression those people had of us was a product that doesn’t work for them or a bad product. In the early days, if you’re figuring out your product and it’s still not fully ironed out, go lay the groundwork of content that you know is going to be potentially optimized or something that can rank. Go to town on channels that you can turn on and off, like outbound or cold email or advertising. Make sure when you turn them on you get feedback and data, and then turn them off until you’re ready to go. 8. Acquire the right kind of customers (i.e. the ones that pay). One of the things I’m really concerned about is that we’re not just acquiring free teams. We’re here to acquire teams that have the potential of paying Slack at some point. Even though an enormous amount of our team creation is social, based on how much people love Slack, work teams are the teams that pay Slack. Then we moved from looking at work teams created to looking at what we call “early-activated work teams created,” which are teams that have actually invited somebody to join. A Slack team of one is a lonely place, and unlikely to be successful. Then, if a team has invited a couple people, have they exchanged any messages? The bar is fairly low, because it has to be something people can achieve quickly, so that we can iterate and test off of it and not wait five months. Looking at the full funnel of metrics and not just stopping at that team creation number is really important for knowing whether we are driving value for the company. The friction is so low to starting a Slack team that you could really drive a lot of really poor quality teams if you didn’t pay attention to it. 9. Give ’em a deal they’ll never forget. Chances are, it probably was on sale, came with a discount code or was shipped to you for free. Giving someone the feeling that they “won” a deal is a powerful way to make them like your product more than a competitor’s. You can go about promotions in a variety of ways. Use your social media channels to run ads featuring a coupon that’s redeemable on your website if you have a pretty solid target demographic figured out. If you’re more into drip campaigns or interacting with customers off of social media, and perhaps have a popular blog, your email list is a bona fide money-making machine. Encourage people to subscribe to your email newsletters and occasionally reward them for access to their inboxes with an exclusive offer. If you have a less popular item in stock or dwindling inventory of a SKU that’s no longer made by your suppliers, put it to use either as a limited-quantity loss leader or throw it in as a freebie on orders over a certain quantity. Not only does this free up valuable space in your ecommerce fulfillment warehouse, it gives customers the warm and fuzzy feeling that comes from getting a great deal. Don’t forget that when you’re crafting deals to lure in new customers, you should pay attention to related trends or the time of year. That could mean putting together ads that drum up anticipation for the winter holidays or spoofing the new hit TV show that everyone in your demographic follows. The only thing better than a sale is a sale that connects with the lifestyles of the people who are your customers. BigCommerce app that could help: Coupon Pop entices new visitors to become customers with instant pop-up discount offers designed to get sales. 10. Design your website to be helpful, not sophisticated. No one cares if your website has 1080p image sliders or embedded QR codes. The only thing that matters is that a first time visitor can find what they’re looking for, and then buy it from you. So keep things simple and easy to use. Use an ecommerce database (otherwise known as a search bar) for customers that actually answers their queries — and leave breadcrumbs for them to navigate your selection of items if you have an especially large inventory. When a visitor is ready to make the leap into becoming a customer, make sure your site has a 1 page checkout to keep things as easy as possible. Write detailed product descriptions that tell your customer exactly what they’re getting when they order from you. If you sell clothes, include specific sizing charts and model dimensions. You wouldn’t buy something online without knowing what you were buying — so take that into consideration when you think about your customers. That said, writing an immaculate product description is only the first step to a great customer experience, true customer satisfaction and, thus, customer success. The real test is ensuring that your order fulfillment process 100% ensures that your customers get the correct product, in the right size, and on time. Whether these operations are handled in house or outsourced, the financial cost and soft costs of mispicks, lost inventory and late shipments can be disastrous to your bottom line. Another underrated feature of any good ecommerce site is load time. If you’re using a bulky web platform or cheaping out on server space, there’s a good chance you could have a higher bounce rate as visitors decide it’s not worth waiting for a page to load. You can’t afford to lose traffic just because your load times are slow. Optimizing page load times is fundamental to your site’s chances at success. Need ideas on ecommerce store design? Click here to see some of our favorite ecommerce website designs. BigCommerce app that could help: LiveChat. One of the classic drawbacks to shopping online is that customers can’t try on or test out products. While futuristic solutions such as virtual reality shopping could change that, specialty or customizable items will be a tough online sell so long as customers feel like they can’t know for sure what they’re buying. One method for covering that gap of uncertainty is a customer-facing live chat integration. Warren Dent is the owner and founder of ZenPro Audio, an ecommerce site that sells high-quality audio equipment and products. At this price point, most folks have various audio needs and order size requirements, making the product difficult to sell without direct interaction with individual customers. “I tried a half dozen or so live chat apps, and always ended up coming back to LiveChat. It’s not the cheapest. However, it has the ability to customize the chat window with logos and avatars, allows file transfers back and forth with customers, and is fast and responsive. The admin page is very clean, and the chat page to me was the most sensibly laid out. Pop-up notifications work, and when you click them it carries you to the open tab and chat for immediate response every time. The incoming chat sound is spoken as “incoming chat” which also makes sense to me, when a customer is initiating. Afterwards, standard message sounds apply. You can watch your customer type in real time which can be helpful. Also, customer support is outrageously awesome –– and work, of course, via live chat. They’ve never been unavailable when I had dozens of requests to tweak my design etc. Live chat isn’t the only tool that helps convert. See how Klarna can turn prospects into customers for high-priced items. A/B testing is important, though not to see which designs are best or to use data to outwit other colleagues (though it can do both of those as well). No, A/B testing is about figuring out which options produce the highest numbers of conversions. Ecommerce conversion rate optimization is the #1 tactic to growth for brands past the startup stage. Because the more customers you convert (moving the needle from 2% of site visitors to 5%), the more money you make, the lower your CAC (the calculation of which is explained earlier) and the less you have to spend to acquire that customer again. Mark on Google Analytics every time you launch a new test. Have a standard for how long you run them and how many visitors must experience both versions. Have a process for executive approval to launch the winner. Move on to the next item to test to increase conversions. This is especially true with copy on landing pages and product pages. The sole purpose of the first sentence in an advertisement is to get you to read the second sentence. Copywriting guru Eddie Shleyner said that, and he knows a thing or two about what works and what doesn’t. Without good copy — without the sort of hook, line and sinker content that gets customers’ eyes moving down the page — your product is as good as dead. Test out every facet of your website. Not just the words themselves, but the layout of your website. Does it make sense to have the product search bar tucked into the top right corner, or would you have larger order sizes with a full-width behemoth? The more you know, the better your ecommerce businesses will do. Here’s a list of 5 fundamental parts of your business that need testing; if you can’t do it, then find someone to do it for you. It’s simply too important to not take into consideration these ecommerce testing scenarios. Blog content: Video vs. infographic vs. photo gallery vs. test. Best BigCommerce app for this: Visual Website Optimizer gives you 7 different testing options, including conversion tracking and A/B testing. If you’re stuck on optimization ideas, check these landing page and checkout page design articles. 12. Reach out to influencers. People who work in digital marketing either love or hate influencer outreach. It just depends on your personality and whether you like cold-emailing folks to ask for favors or not. What no one denies is that working the back channels of major media websites or Page 1 heavyweights is not an option if you want your business to succeed. So how do you stock your pipeline full of quality influencers? This largely depends on where it’s most effective for you to do your marketing. Stuck on influencer marketing? These nine influencer marketing case studies should help. Building up a catalog of valuable backlinks usually starts with the content you create. Quid pro quo is a reliable acquisition strategy for breaking into more venerable websites. If you allow someone from a relevant website to write a guest post on your company’s blog or simply link to one of their posts from somewhere on your site, you can leverage that into getting a guest post or backlink on their site. Depending on what sort of audience you’re targeting, it might be more effective to seek out backlinks via an Instagram or YouTube channel instead of on a Facebook page or on a blog post. How do you know which channels make the most sense? By looking at our Google Analytics or BigCommerce Analytics to determine from where your most profitable traffic is coming – and then working with influencers to get more of that. In terms of finding influencers, free tools such as the BuzzSumo trial version or Google Alerts go a long way to connecting you with people and media channels who can make a difference. While it’s not cheap, Pitchbox is a highly effective platform for performing keyword matches on influencer sites in your niche and scraping contact info for you to cold email in automated sequences. It’s a huge time-saver and can get you handfuls of backlinks, especially if you craft a winning cold email. Customer acquisition takes planning and execution. It’s important to be deliberate in how you drive and convert visitors into customers on your website. You want to select the right channel where you have a good product fit, then test content that will wow your customers so they convert. You also need to be diligent in how fast you acquire customers, what channels you use, and implementing long-term strategies that will keep you customer acquisition cost well below your customer value. Apply and test these SaaS customer acquisition strategies to help your digital store grow.